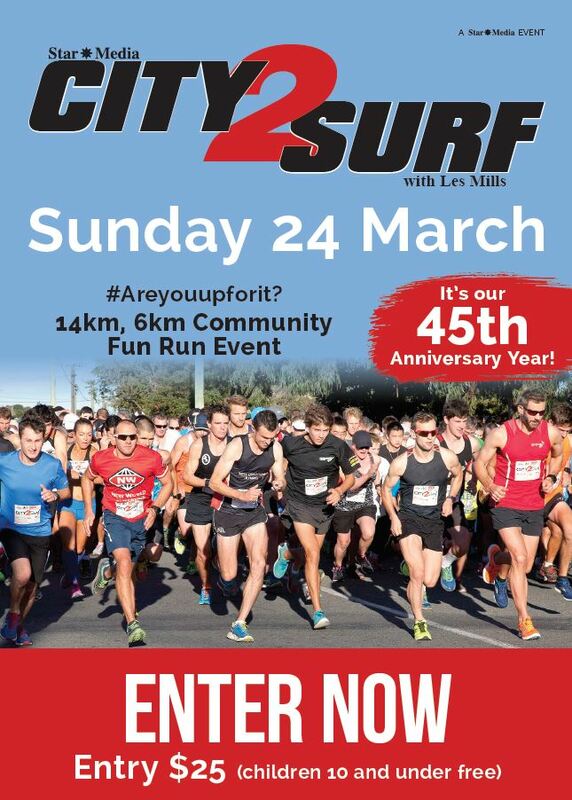 Celebrating its 45th year City2Surf is being held on Sunday 24 March 2019 (rain or shine) and is made up of two courses – the longer 14km from Pioneer Stadium to Ferrymead and the shorter 6km from Hansen Park to Ferrymead Park. Over the years the Star Media City2Surf has covered enough kilometres to run around the work 120 times and helped burn over 184,730,00 calories. “The City2Surf is a great opportunity to not only increase the profile of the Charity Hospital as a local Canterbury charity but also be involved with a massive community event which last year attracted around 12,000 entries,” said Charity Hospital Fundraising Co-ordinator Rosie Graham. More information about the event is available at www.city2surf.co.nz.